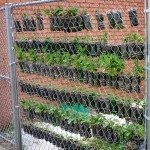 Build a vertical garden from recycled soda bottles | DIY projects for everyone! A limited garden area doesn’t mean you can’t have a kitchen garden of your own! A vertical gardening needs so little space it can even be done on a balcony or against a wall! This example is very easy to make, requires very little maintenance and will cost you next to nothing to set up! All you need are is a vertical space and some empty plastic, BPA-free liter bottles! 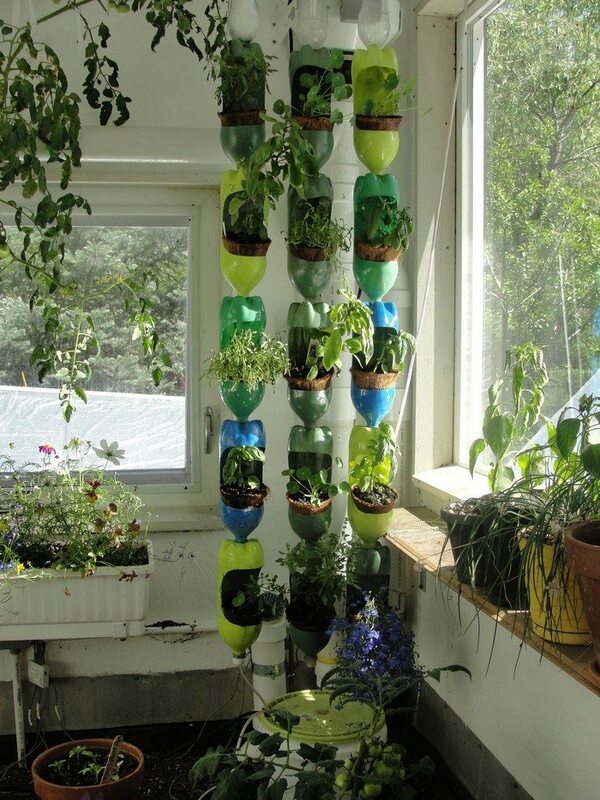 This vertical plastic bottle garden, or what the owner calls the ‘bottle tower’, is definitely one of the clever solutions for small space gardening. With this design, space is maximized to produce as many healthy, organic herbs and vegetables as possible with very efficient use of water. Here, almost no water evaporates and therefore it requires less watering than a regular garden. You can grow all the herbs you want and other plants that can live in small pots in this vertical garden. It is also a nice way to grow flowers to add colour to your home, such as morning glories! It’s very cheap, easy to build and low maintenance – what more can you ask for?